Apple products are really tempting. I can't imagine myself being one of those geeks who would travel all the way to another country to purchase an Apple product just because I couldn't get it in my country. The first version of everything could potentially has undetected flaws. As a developer myself, I always believe end user testing would be the best testing, and iPad has not been in the market long enough and I don't want to be white rat. There are much more iPad competitors coming up very soon, mainly the Samsung Galaxy Tab that runs on less restricted Android platform. 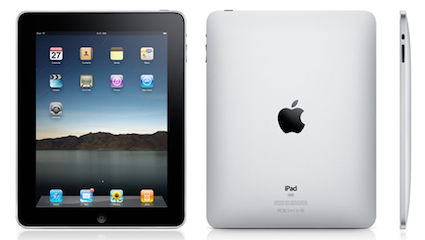 There are also rumours saying Apple is going to launch a mini iPad which could be much more convenient to bring around. There is no reason to get an brand new device and jailbreak it the second day, then lose it warranty. I have subscribed to home broadband, office broadband and BlackBerry unlimited packages, and I will need to get another 3G broadband for my iPad. I need to get iPad to tether with BlackBerry and that is not possible unless you jailbreak it. There are also rumours saying iPad will be in Malaysian Apple store very soon. Why the hassle? There are much more reasons for not getting iPad at this moment. All the reasons suddenly dismissed from our mind when we saw the Singaporeans travelling in MRTs surfing net with iPad. We saw some GeekCamp attendees surf net with iPad. We also thought it wouldn't be easy to find iPad as it could have been wiped out by the Singaporeans, especially the entry level 16GB wifi units. However, we really can't deny our luck when we found it at the fourth Apple store, and we have to get ourselves the iPad which damaged us SGD729. Not too expensive but not cheap too. After owning it for less than 48 hours, I have a mixed feeling with the device. It really changed the way people uses computer. Apple has done it again. It makes me feel like laptops will not stay for long, or the market share of laptop will drop tremendously. I believe there are more than 50% of the users who are using computers solely for internet (or Facebook). Big portion of this user group will definitely go for iPad or similar device if they did not fall for netbooks earlier when it hit the market a year ago. The only downside of the device, is the touch screen keyboard which I was unable to get used to it yet. Although it's hard to type on screen and I keep on getting typos, can see that the iPad is working hard to help me correct the spelling as I type. If much more effort were to be put on typo corrections, users will definitely enjoy the device more. With all that being said, I don't think it suits me. The problem is not the device, the problem is me. I do not see it replacing my BlackBerry or MacBook Pro. I'd still prefer to read on my BlackBerry while I commute on public transport because it's not small enough to be carried around. I will still have to use my MacBook to get my work done. There is no point adding a third device into my already heavy bag. It shall only serve as a device for some light surfing at night, or for some urgent work in the shopping mall, on a non-working day. It's much more for my wife (for her favourite Angry Bird game) than myself. Apple iPhone (3G) is not coming to Malaysia? I agree with you on most of the points, especially the first version release of a product thing. I too usually wait for a product to improvise in the subsequent releases based on customer feedback. Planning to get an iPad too?